2ТМ > Education > 2TM Company Extends Heartiest Congratulations on World Teacher’s Day! 2TM Company Extends Heartiest Congratulations on World Teacher’s Day! 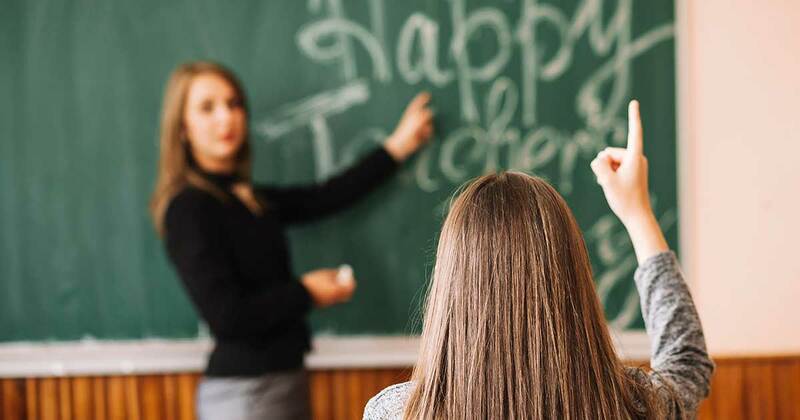 The professional holiday of all educators – the World Teachers’ Day is annually celebrated in more than 100 countries of the world on 5 October. The Special Intergovernmental Conference on the Status of Teachers, held in Paris on 5 October 1966, was the historical basis for the establishment of this holiday. The work of teachers is a painstaking and responsible labour requiring high professionalism, personal commitment, huge mental and physical resources. On the World Teachers’ Day, we distinguish the invaluable role of teachers in providing the young generation with high-quality knowledge, transferring experience and wisdom to schoolchildren and students, raising them to worthy people. The 2TM team heartily congratulates all teachers on their professional holiday! We wish you good health, strength and patience, continued interest in new knowledge and, of course, grateful pupils and students!